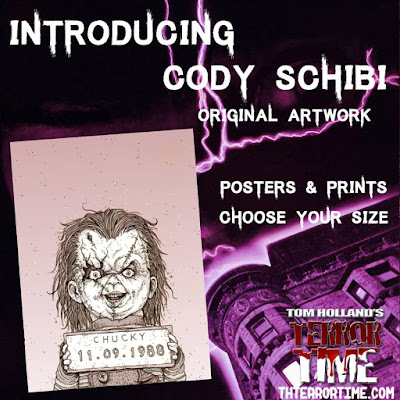 Drawing A Blank: The Art of Cody Schibi: It's TERROR TIME!!! We ALL know what that's from. & most movie fans know the man behind those words & that film. Tom Holland is a MASTER of horror & he not only brought us the classic, 'Child's Play', but one of my all time favorites, 'FRIGHT NIGHT', as well as 'Thinner', 'Psycho II', 'Class of 1984'...the list goes on & on. Growing up on these films has been a treat, but to now say I'm working alongside Tom is a SUPER TREAT! That's right, I'm extremely excited to announce that I have joined Tom Holland's Terror Time family! 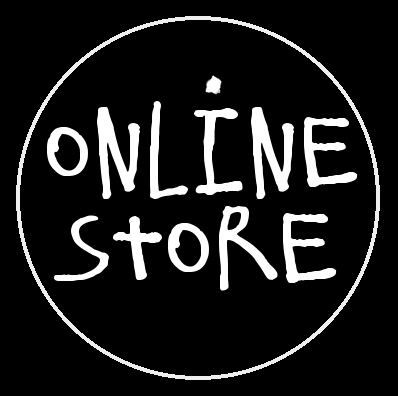 Terror Time will be releasing my art as high-quality, affordable prints as well as t-shirts to make your torso the sexiest ever! I'll have some of my original, one of a kind art available as well, so you'll want to continue to check Tom Holland's Terror Time site as new stuff will be hitting the store every week. 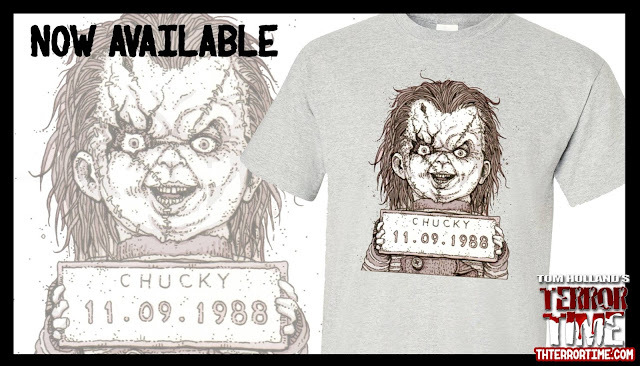 My FIRST design they have just released is appropriately my CHUCKY "Monster MugShot". You can pick up different print sizes of this as well as t-shirts which come in FIVE different colors! Be a "Good Guy" (or Girl, of course:) & pick one up NOW! 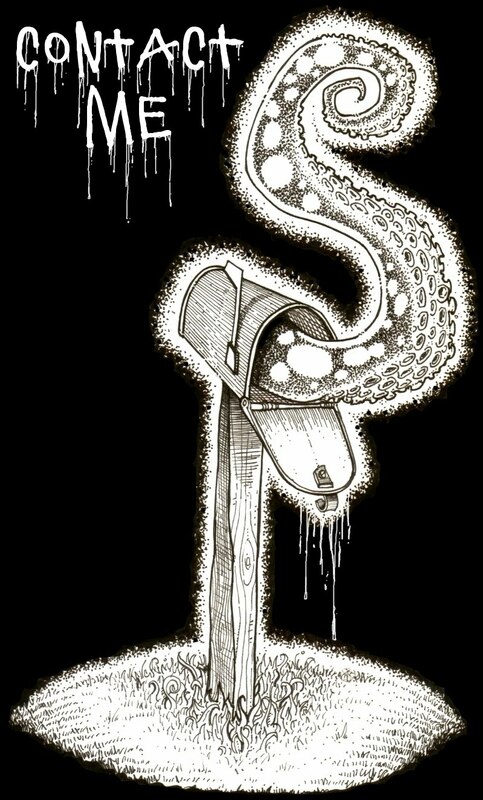 I have a LOT of different horror designs in the works so continue to check back for more updates & releases. We're truly excited to unleash some terror into your life which will, or course, enhance it!